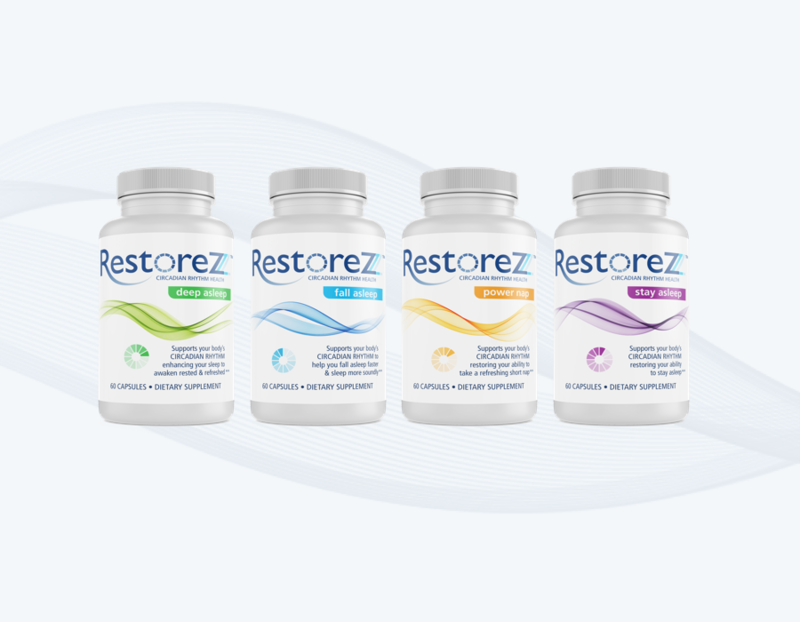 RestoreZ is unlike any sleep aid on the market today and completely flips the script on how you should think about sleep and wakefulness. It is not a sleeping pill that simply knocks you out. Our focus, with RestoreZ, is on balancing and syncing your unique circadian rhythm — the waking and sleeping patterns we follow daily. It supports a more restful, sound sleep and counterbalances the stress, poor eating habits and lack of exercise that often get in the way. Visit our site to find out how to fall asleep, stay asleep and get the deep restorative sleep that enables your body to naturally resync each night.